In the past, this website used to host WorldRadio which was a monthly magazine for amateur/ham radio fans. The magazine was published in English and distributed online. More information about the publication of this magazine can be found in Wikipedia, where the Wikipedia depicts that the WorldRadio magazine was sold to new publishers and hence may have moved to another domain. Amateur radios may seem to some people as ‘extinct’ or of less important, but the truth is that they still play a major role in communication especially during emergencies and in areas where signal for cell phones may not be available. When has cellphone ever been unavailable? Disaster movies make it seem plausible. Generally, ham enthusiasts usually hang out on some specific frequencies to network and communicate with each other just for fun. I understand that TV is boring, Youtube is boring, but talking to other Ham radio guys, must be incredibly boring. Many are comedian story-tellers. It’s a thing they do to amuse each other. After your basic needs are satisfied, like a good job, healthy family, home and hobbies, then some people like become preppers, that is, to become prepared to handle civilization-destroying events, natural or man made. Ham radio is one of the things people who are truly prepared, will want to have. Giant earthquake on west coast of North America. Who is going to answer FAQs about the apocalypse? I will. World bank failures, financial crisis, is my favorite. Below are some interesting posts that I have published concerning ham radio communication and its importance among ham enthusiasts. 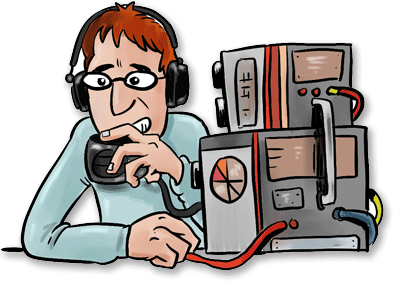 Entering into the world of ham radio is not something that many people simply stumble upon. For most, it comes as a lifetime of interest, personal ties, and dedication. Usually, these personal ties come from parents who were active as amateur radio enthusiasts, who then pass this passion on to their children. But my experience is a lot different than this one. My family was only using a radio when my dad was listening to a baseball game in the backyard or when my mom was cooking in the kitchen. I did not even know that there was something as a ham radio until I was 15 years old. At that time, my introduction to the incredible domain of amateur radio occurred, and it happened in a most peculiar way. It was during a particularly hot summer in our neighborhood. I was delivering newspapers, like I usually did, early in the morning. The last spot on my delivery tour was a house that belonged to a polish immigrant called Havel. I arrived at the door and left the newspaper, but I found it opened a bit. Knowing that he never left his door open like that, I peered into his home and found him lying on the floor. I rushed in and telephone the emergency number. Havel had a heart attack and the ambulance came just in time to save him. Later, when he came back from the hospital, he called me to thank me personally. I did go over and we talked about his health and the things that happened, but then he asked to show me his radio equipment. He led me to a room filled with electronic equipment, wires, and microphones. He explained that even the most basic radio possesses the, as he put it, almost magical power to allow people to communicate. Then he sat down and demonstrated me this: he got in touch with a man in South Africa and talked to him a bit. The conversation was meaningless, but I got what he meant. The ham radio was unlike anything I saw before and I was hooked for life. Under his guidance, I constructed my own small ham radio station. Later, I moved to college and continued to be impressed by the radio technology, which is why I continued to study it. After I finished my education, I began working for a big tech company while at home I built my first fully equipped ham radio station. There are many benefits of being in this hobby, but the biggest one in never being lonely. There was always someone to whom you could talk to. My equipment was also always on my mind, which is why I kept improving it with better receivers, radio frequency scanners and tuning decks. The only cons I ever could count was the need to set the antenna system on the roof, which often ended up as being a big hazardous process. Once or twice I almost slipped while I was making some modification on the antenna’s mast, which is the only time when I cursed a bit my beloved hobby. But, I had to notice that even though I never felt lonely when I wanted to talk to someone, I still did not have that special someone. I spent most of my time at work or in front of my ham radio, where I had no real and lasting companionship. I was also gaining weight, which is why I always glance at this specific weight loss program chart to see where I’m at with my chunkiness. Deep down, I loved my life, but I also wanted to find someone to share it with. Then, out of the blue, one day, I got in touch with a woman on my amateur radio. She was living near me, just a few miles away, but I did not know her. We started talking, first a few times per week, then every day. When we really got to know a lot about each other, she told me that she was a breast cancer survivor. She felt as if the illness had isolated her from the rest of the world, but I immediately realized she was just a kind soul who wanted to feel loved. I understood that feeling because I had it too, so we arranged to meet. When I first touched her face a few days later, I realized that not even breast cancer could spoil her incredible inner beauty. Today, we are husband and wife and we still share our huge love for ham radios, but also each other. We even get in touch with Havel sometimes. But, when all benefits and cons are added up, for us, they somehow resulted in pure love. We spend our days in joy and happiness, knowing that the airwaves that brought us together must have somehow knew that we would make the ideal couple.